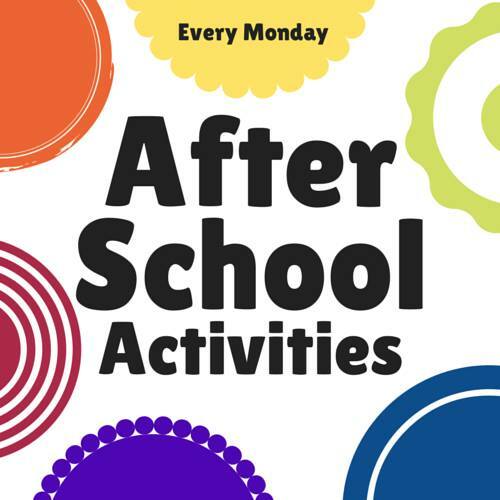 This is one of those activities that I have been meaning to do for a while, but wasn’t able to find the time to prepare it until now. 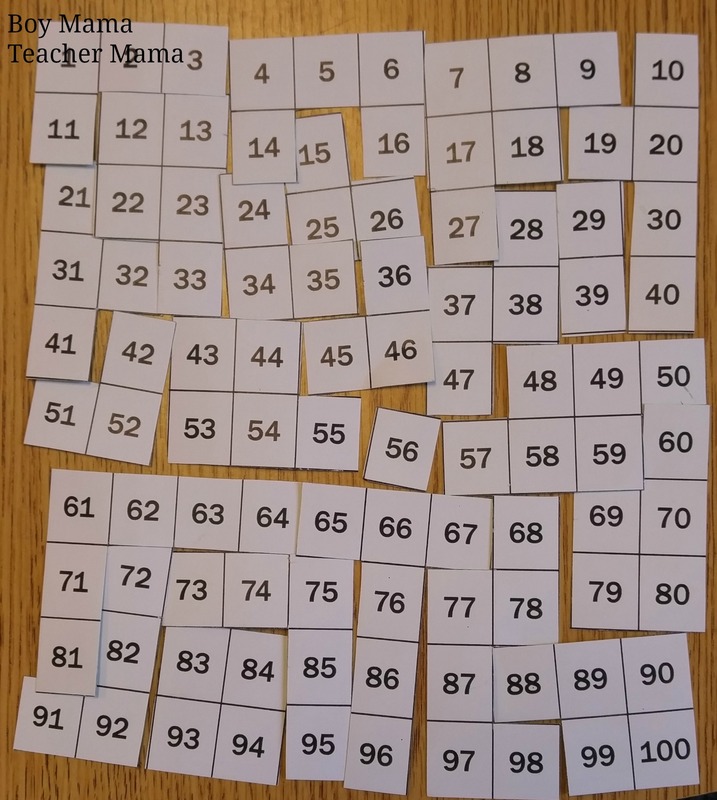 I created these 100s Chart Puzzles for my first graders to do for their morning work and to do when they complete their work while waiting for others. 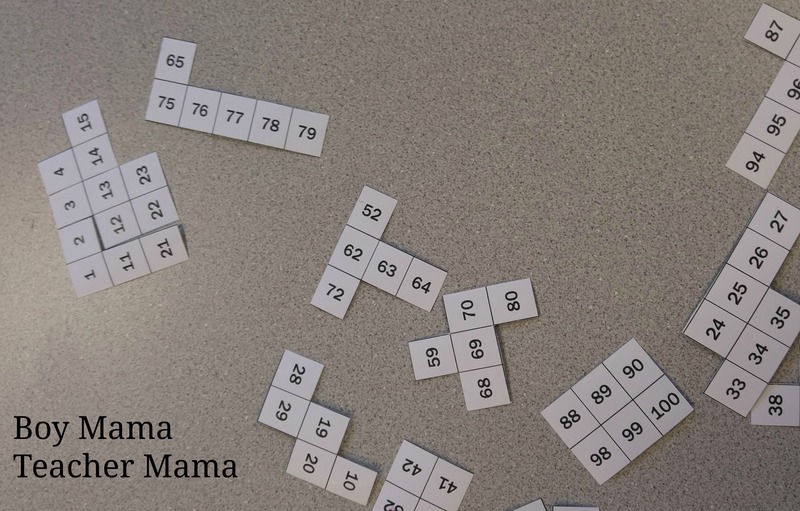 To prepare this activity, simply print out a 100s Chart and cut out the numbers in a variety of different shapes- sort of like the shapes in Tetris. NOTE: Before cutting the charts apart, I colored the back of each chart a different color so if the pieces happen to get mixed up, they would be easy to separate again. 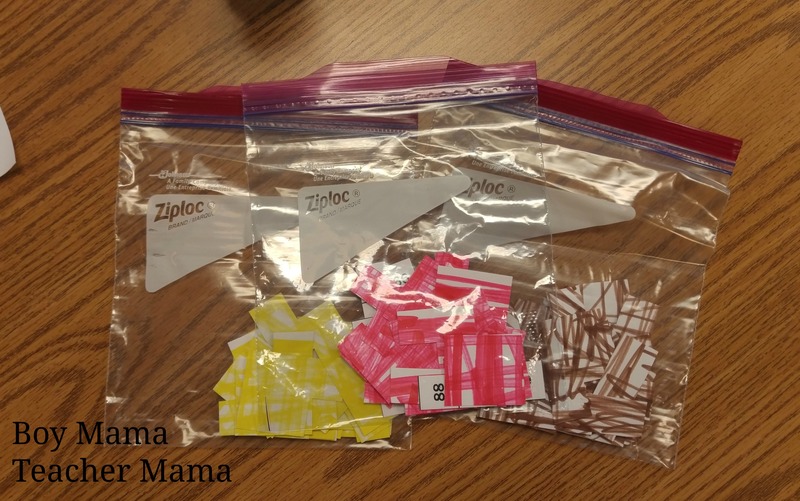 I put the puzzles out in these plastic bags and when the kids arrived, they took out the pieces and started putting the 100s charts together. 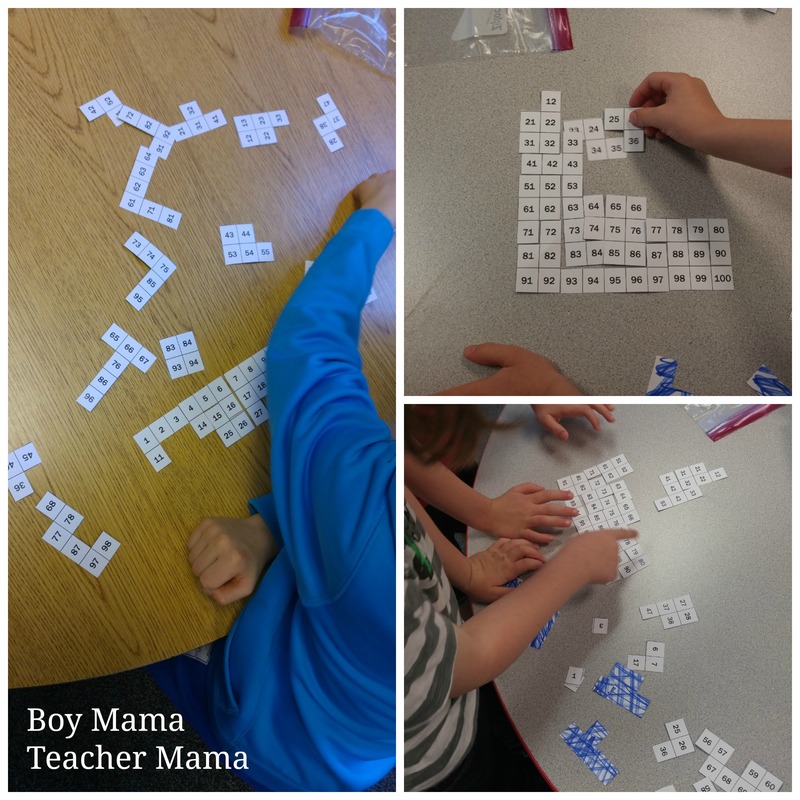 Some worked alone while others worked in pairs. It was a great activity for a variety of reasons including really getting to know and understand how a 100s Chart works. Once the puzzles are prepared, just give them to the kiddos and let them go!! 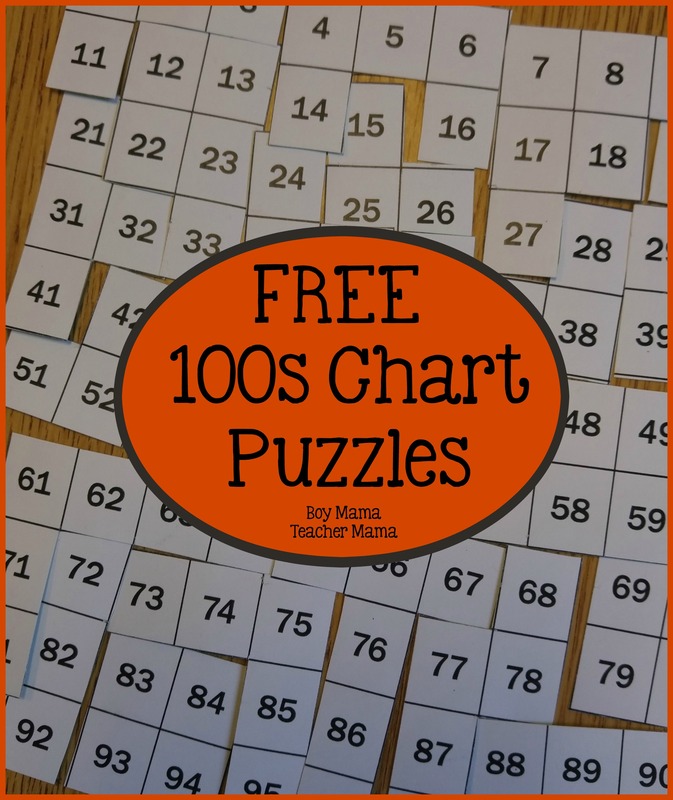 After creating these 100s Chart puzzles, I created the same sort of puzzles using a 20s Chart and a 50s Chart and passed them along to the kindergarten teachers to use with their students. 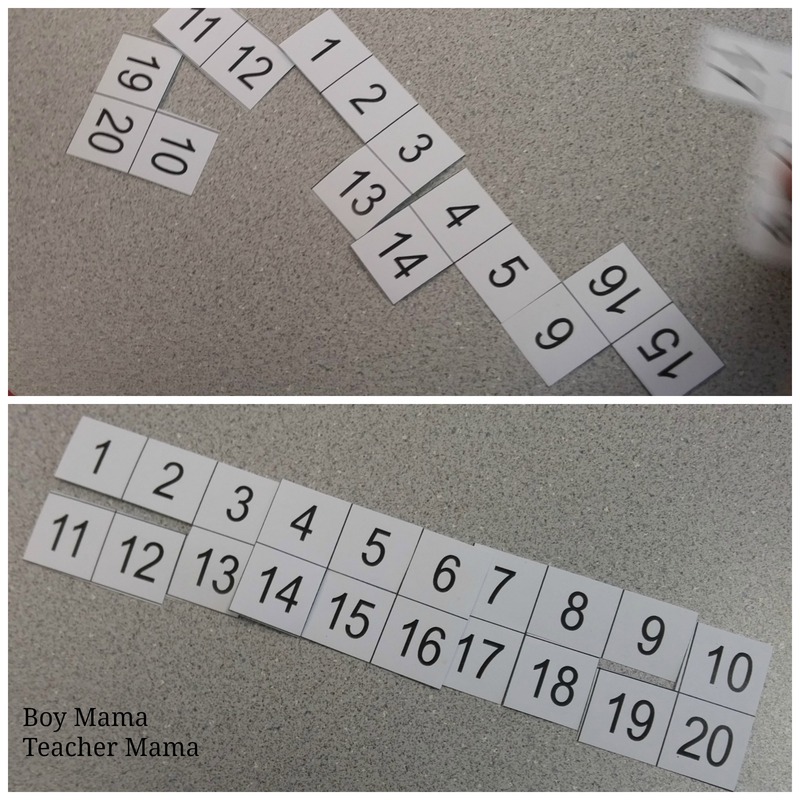 I will probably use these two charts with my first graders in September before they are ready for the 100s Chart.